YOU would think playing golf in the desert would involve spending a lot of time in the sand. And you would be right. 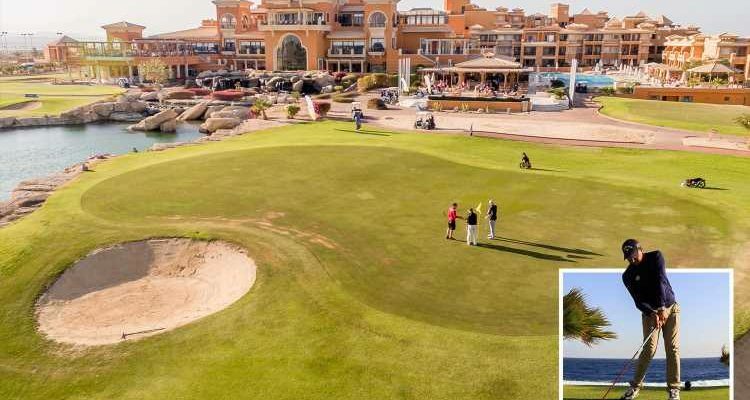 But that owed more to my wayward tee shots finding bunkers than the location of this Championship course at the Soma Bay resort in Egypt. When I did hit the fairways, I found myself on the vivid green grass of a course that was as beautiful as it was testing. Some of the names of the 18 holes, designed by nine-time Major winner Gary Player, offer clues to the challenge — “Bunker Alley”, “Dilemma… Dilemma”, “Lions In Waiting” and “Jaws”. Many flank the Red Sea coastline, with the turquoise waters acting both as a stunning backdrop and serious hazard. One hole even tempts players to crack their tee shot over the water in search of the green. 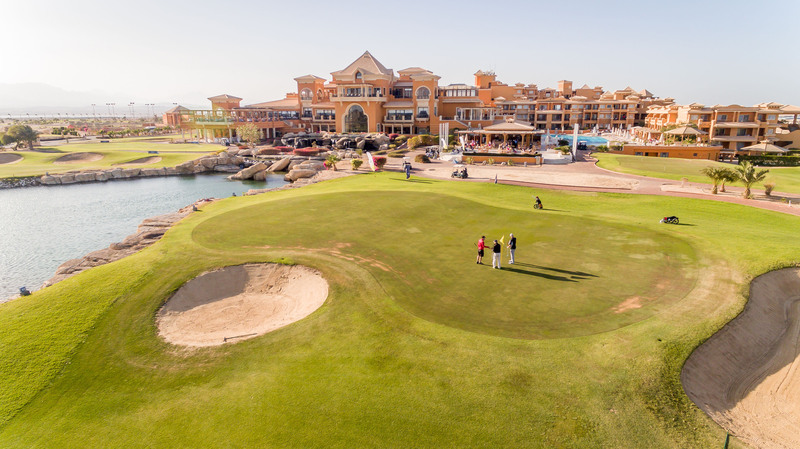 If all your efforts end up in the sea, thankfully there is much more than golf to keep you busy at Soma Bay, which prides itself as a destination of “1,000 possibilities”. 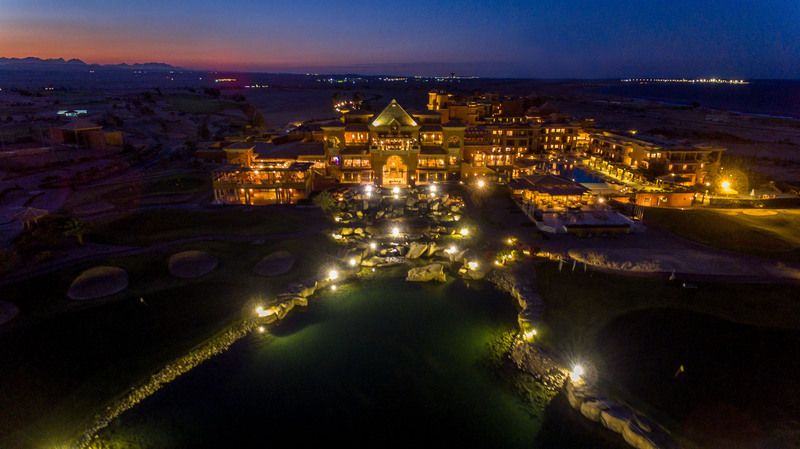 A 45-minute transfer from Hurghada international airport, the all-inclusive resort consists of five luxury hotels, spread over ten million sq m.
Each hotel caters to different needs and tastes. The Sheraton is family friendly with a splash park and kids club, while the Kempinski offers a more sophisticated experience overlooking the hotel’s lagoon-like pool. At Breakers, guests can opt for watersports, chill out on a swing-bed yards from the sea or nestle between an oversized beanbag and the stars at the open-air cinema. I stayed at the grand ­Cascades hotel, which unlike the others, is not on the beach but instead at the ­centre of the golf course. Guests can laze by the pool or enjoy lunch on the terrace at Spikes. A private stretch of beach reserved just for Cascades’ guests is reached in a few minutes via Soma Bay’s free shuttle bus. In an evening, the Eagle’s Nest Bar — with its Chesterfield sofas, classic rock on the stereo and Premier League football on the TVs — was the perfect clubhouse venue to relive the day’s exploits over a drink. Cascades and the other hotels offer an extensive buffet, with guests free to switch from one to another. The Egyptian-themed evenings were a particular highlight. My hotel was adjoined by the Cascades Spa & Thalasso, where 65 treatment rooms offer various types of massage. The centrepiece to the spa is the Thalasso-Tonic Hydrotherapy Pool, featuring water twice as salty as the sea and cosily warm. I spent an hour passing through its hundreds of water jets, showers and bubbling baths. 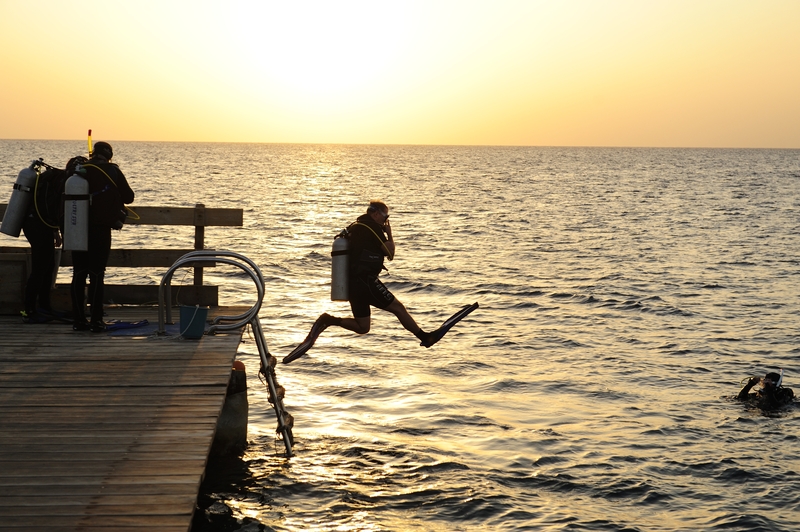 Taking things back up a notch wasn’t tough, with snorkelling and diving a huge draw to Soma Bay. A 500ft jetty extends out over shallow turquoise waters teeming with tropical fish. Leaping into the water, which stays above 20C year round, I peered down on the reef where schools of colourful fish danced. Those wanting to delve deeper into the Red Sea’s underwater kingdom need only visit the fully-certified Orca Diving Centre, which offers training for beginners, as well as full-day scuba trips. Adventurers are taken by luxury boats to one of the many first-class dive sites. As I dived 50ft below the surface, I was greeted by stingrays and spectacular coral. Unfortunately I didn’t spot Walli, the affectionately named whale shark that often makes an appearance. 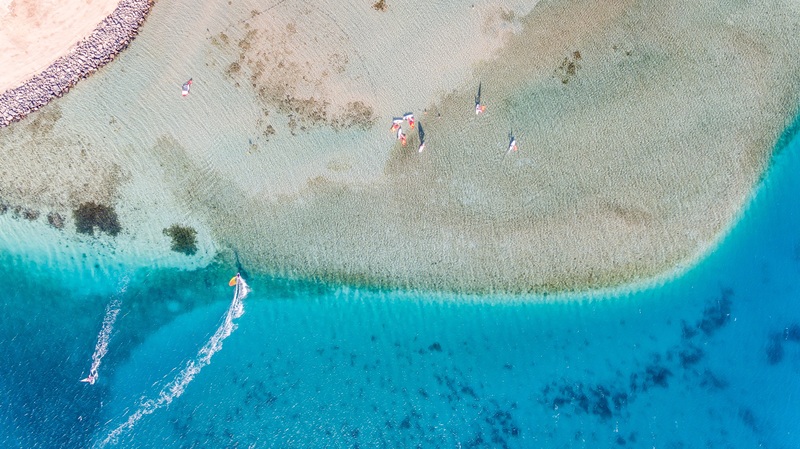 Staying on the surface, the consistent winds make Soma Bay one of the world’s top places for kite surfing, and a free taster course every ­afternoon is a must. Thrill-seekers will find all they need at the Kite House where surfing, paddle boarding or a classic banana boat ride are on offer. The watersport hub’s panoramic terrace, with its resident dog and cushions made from life rafts, is also a great place to enjoy a long lunch and cold beer. Later, under clear blue skies, I watched the sun set behind the desert mountains. 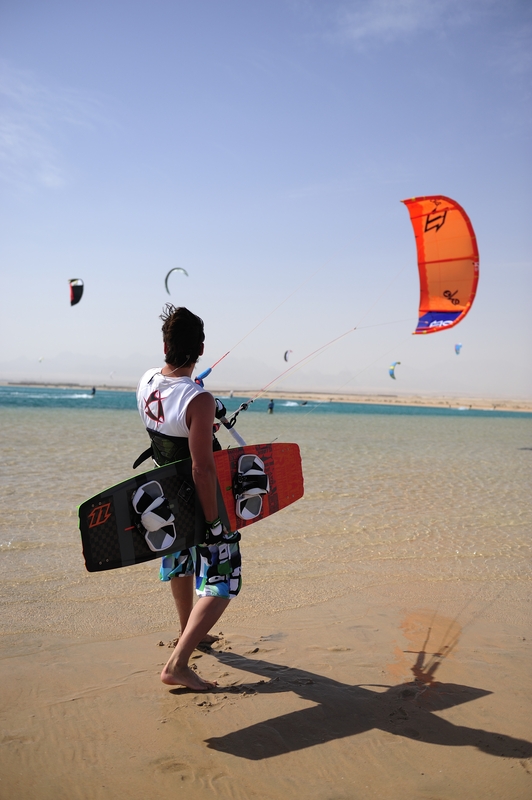 It was a reminder that the greatest pull of Soma Bay is the weather. With 363 days of sunshine a year, staff even joke that if it rains you get your money back. But with so much on offer, the sun becomes simply a beautiful hazy backdrop to much more. 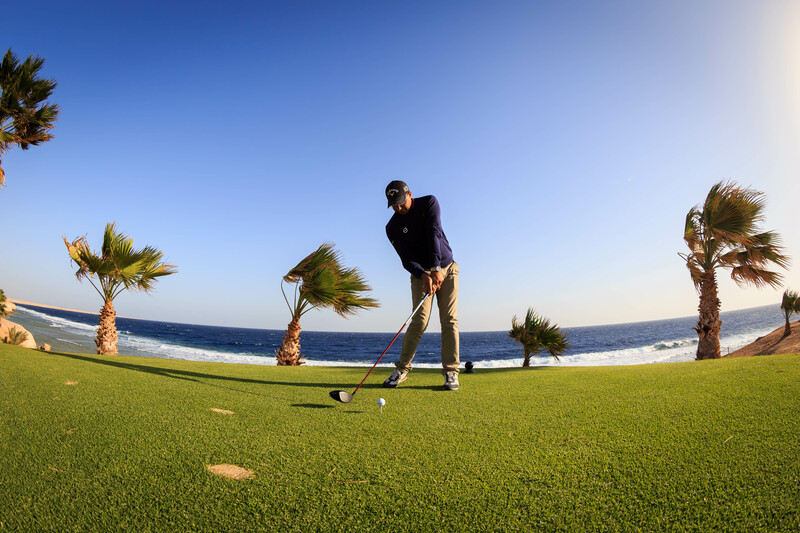 Whether that be a camel ride on the beach, diving into the he sparkling Red Sea or becoming an expert at hacking golf balls out of the sand — it can be whatever experience you want it to be. Getting there: EasyJet flies to Hurghadah from Gatwick and Stansted with fares from £108 return. See easyjet.com. Staying there: Cascades Golf Resort, Spa & Thalasso has deluxe rooms from £72 per night on a half-board basis. More info: For details on any of the five hotels at Soma Bay visit somabay.com. Previous Post:Harry and Meghan Are Gone, But Which Royals Still Live at Kensington Palace? Next Post:Jackie Evancho: ‘The Debut’ Stream & Download – Listen Now!